Blu-ray™ Combo Pack & DVD ! 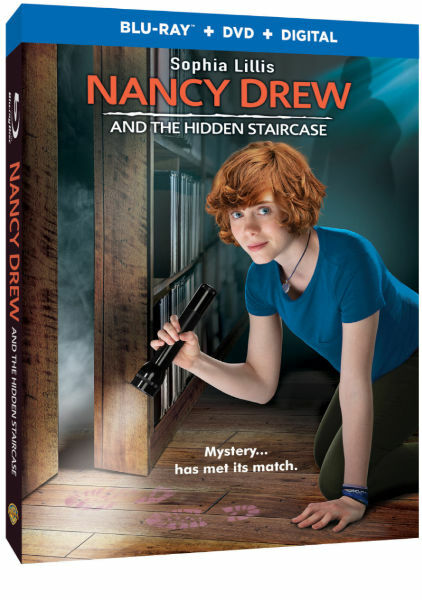 Nancy Drew was my childhood hero. I think I have read every single book, but don’t hold me to that, as there are so many!! I loved every single word and later on even watched the television series back in the seventies. Opps! I guess I’m aging myself. I was a bit worried that this film wouldn’t hold up to my expectations, but I was wrong once again. This updated modern version of Nancy totally rocks and my son loved it! As I said above, I just wasn’t sure how I would like this new Nancy. My 15 year-old son watched along with me. We were BOTH surprised and loved it. The modern day version times in social media and the teen drama that gets wrapped around it. He could relate. I loved how Nancy was portrayed as a tom-boy. That is what I believe won my son over. She is a Nancy for all genders. Strong and smart! I wish they would make more films like this one. It is fun and geared to the entire family without being corny. One lucky Be Your Best Mom reader has the chance to win a copy of their own! U.S. ONLY 18 and Over to enter! Giveaway ends April 14, 2019. Winner will be chosen at random. This would be a fun movie to watch! I would love to have this for my daughter. Thanks for the chance to win! I would like to win this movie. This looks like a fun family movie. I would love to have this movie so I can watch it with my granddaughter! A favorite since I was a much younger girl…. I really do want this movie!